With speculation swirling around that the Trump administration plans to legislate a narrow definition of gender to exist solely on the Binary. Many transgender activists and allies are speaking up to protest against such actions that would narrowly define gender within a binary against an Obama-era policy that is more inclusive. 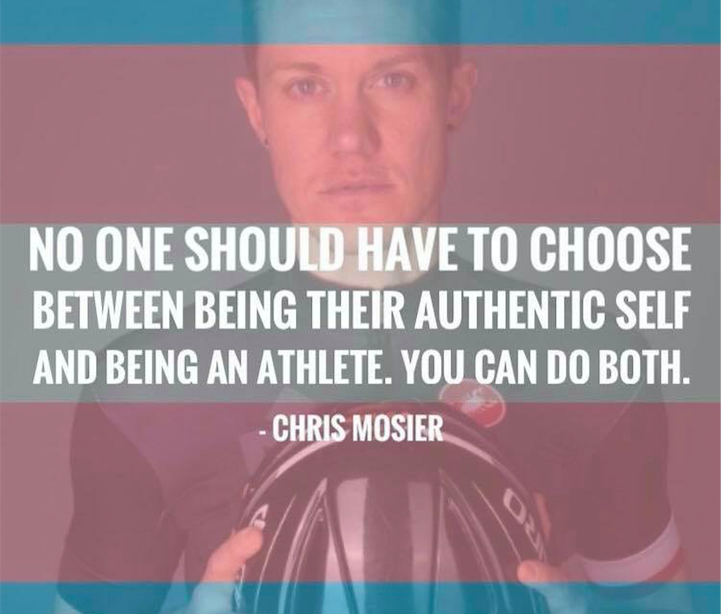 Athletes include Chris Mosier, Schuyler Bailer, and (surprisingly) Caitlyn Jenner, along with numerous others. 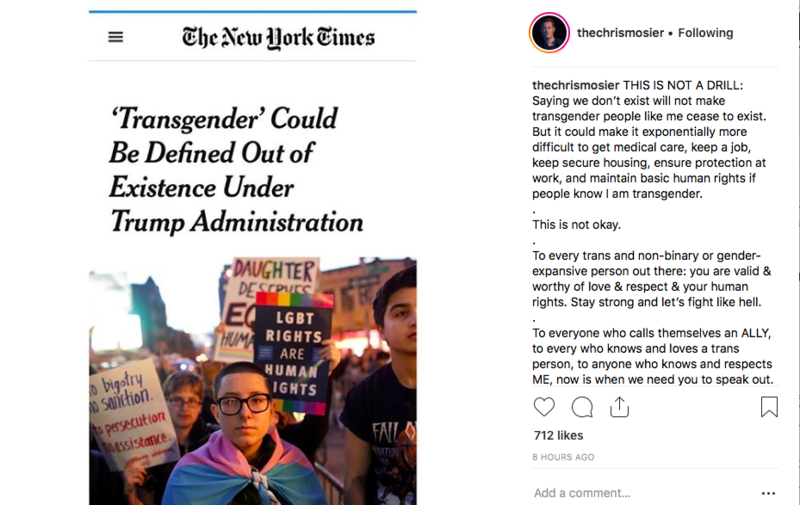 This is just the latest of anti-transgender initiatives that the Trump administration has led since taking office, going back on his rhetoric that many LGBT republicans including Caitlyn Jenner have tried to convince otherwise. With Trump most notably holding the rainbow flag upside down in an attempt to appeal at the LGBT voting block, while also sharing his message against his fellow Americans that he will attempt to legislate them out of existence. Despite any legislation, transgender athletes, activitists and allies will continue to speak UP and come OUT to ensure that we all have an equal share in society and will live free of prejudice and discrimination. Transgender athletes face a much higher rate of discrimination and prejudice within sports and throughout all aspects of society. 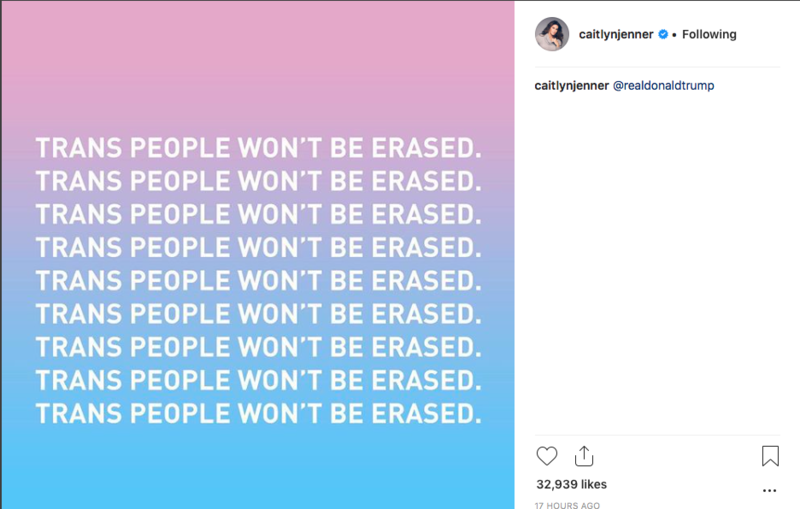 Fighting against ignorance and misinformation, it is more important than ever that these athletes are continuing to speak up and come out to help educate and build awareness that not everybody exists in a binary. Often times taking great risks to do so.